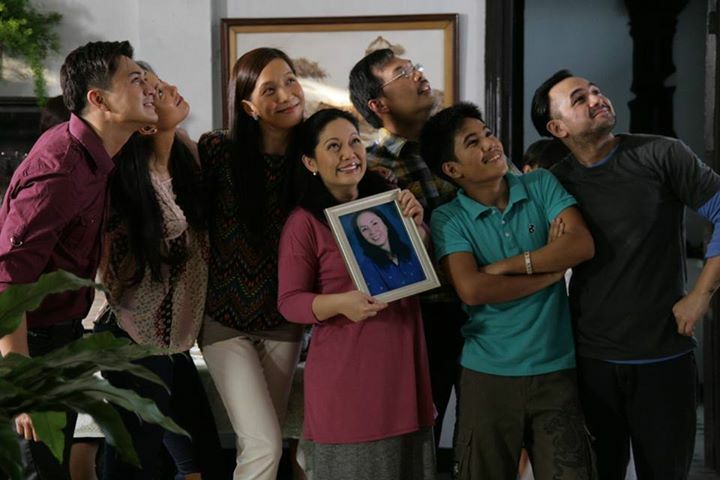 GMA International, through its flagship international channel, GMA Pinoy TV, commemorates Lent with a series of special drama features and movies that capture the essence of the season. Beginning Holy Monday (April 14), the EB Dabarkads draw inspiration from true to life stories in Eat Bulaga’s Lenten Drama specials starting with Karugtong ng Puso featuring Tito Sotto, Paolo Ballesteros, Susan Roces and Ehra Madrigal, followed by Ilaw ng Kahapon starring Julia Clarete, Dennis Trillo, Gladys Reyes, Allan K, Perla Bautista, Sandy Talag and Rez Cortez. On Holy Tuesday (April 15), Joey De Leon, Michael V., Wally Bayola, Joyce Pring, Assunta de Rossi, and Bea Binene are featured in Hakbang sa Pangarap, while Diamond Star Maricel Soriano is joined by Pia Guanio, Isabelle Daza, Keempee de Leon and BJ Forbes as they display their acting prowess in Kulungang Kanlungan. The heartwarming stories continue on Holy Wednesday (April 16) with Pauleen Luna, Ryan Agoncillo, Ruby Rodriguez, Jimmy Santos, and Valerie Weigmann topbilling Anyo ng Pag-ibig, and Vic Sotto, Anjo Yllana, Jose Manalo, Erika Padilla and Ryzza Mae Dizon delivering heart-wrenching performances in Pangalawang Bukas. From Maundy Thursday (April 17) to Black Saturday (April 19), GMA Pinoy TV will showcase some of the best Filipino film titles on GMA Pinoy Blockbuster. On Maundy Thursday, witness a modern-day Magdalene story with Santa Santita, whose lead characters struggle with their faith in light of their promiscuous occupations. In Mourning Girls, featuring Glydel Mercado, Ricky Davao and Chin-chin Guttierez, the life of Lupita (Mercado) takes an unexpected turn upon the death of her husband (Davao) as three other women show up to his funeral claiming inheritance rights. The third movie offering for Maundy Thursday is a tale of true love that transcends different lifetimes as shown in Eternity, starring Dingdong Dantes, Iza Calzado, Jennylyn Mercado and Mark Herras. 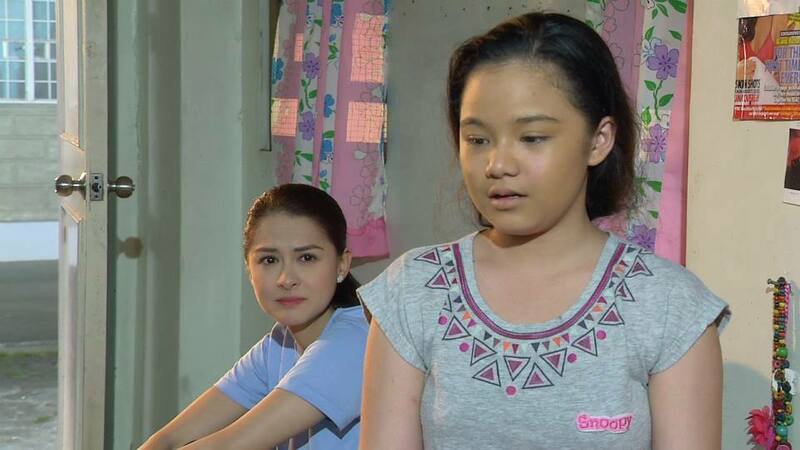 Meanwhile, the classic films Mga Mata ni Anghelita, starring the late Julie Vega with an all-star cast, and God’s Little Children, featuring Sunshine Dizon, Strawberry, and Daria Ramirez will be shown on Good Friday (April 18). Then, three close friends, who started as DJs in the 60s, realize their dream of visiting the holy land and retracing the steps of Jesus Christ in Banal na Lakbay Sa Yakap ni Hesukristo. Multi-awarded TV and radio anchor and GMA Network Consultant for Radio Operations Mike Enriquez, TV host and actor Joey de Leon and radio DJ and concert promoter Danee Samonte a.k.a Steve O’ Neal take Kapuso viewers along on their journey to Bethlehem, Nazareth, Cana, and Jerusalem as they participate in religious rituals. Alternately, all 3 friends will carry a cross as they retrace Jesus’ journey in the Stations of the Cross. This will be followed by the Siyete Palabras (Seven Last Words). On Black Saturday, distinguished industry veterans will deliver meaningful performances in Ano Ang Kulay ng Mukha ng Diyos, topbilled by veteran actors Gina Alajar, Michael de Mesa and Edu Manzano, and Umiyak Pati Langit starring Helen Gamboa, Janice de Belen and Dante Rivero. And lastly, GMA Pinoy TV presents the GMA Lenten Drama Special Panalangin, starring Kapuso Primetime Queen Marian Rivera on Easter Sunday (April 20). The story is centered on Lauren, whose life is derailed by a typhoon that ends the life of her family and her lover. When all hope is lost, she meets a dying girl with a bucket list who makes her realize that life is worth living. Experience a truly enriching Lenten season this Holy Week only on GMA Pinoy TV. To know more about Kapuso artists, events and programs, visit the website www.gmanetwork.com/international, Facebook pages www.facebook.com/GMAPinoyTV, www.facebook.com/gmalifetv,www.facebook.com/gmanewsinternational, and follow the Twitter accounts @GMAPinoyTV and @GMA_LifeTV. 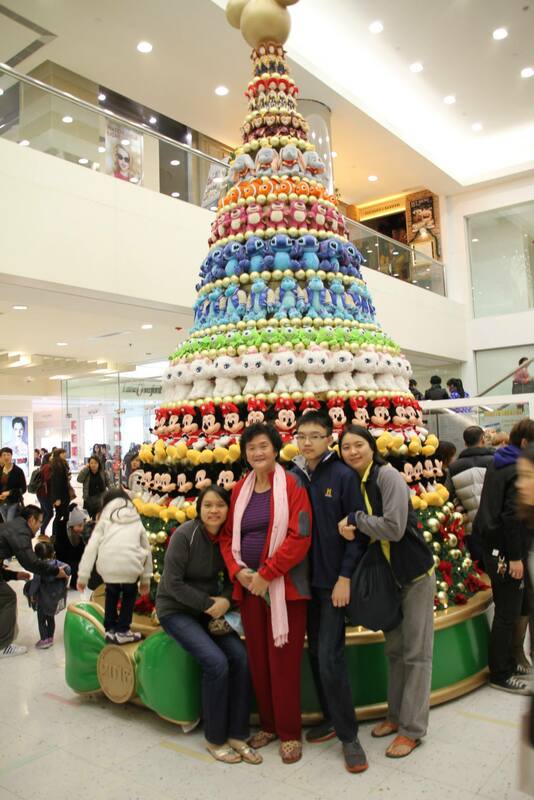 Last December 26, 2013, me and my family were bound for Hong Kong to spend our week long Christmas vacation there. We perused our American Express Cards issued by BDO, so we can use the Club Manila airport lounge located in Ninoy Aquino International Airport, while waiting for our boarding announcement. The lounge was full as it was Christmas and a a lot of people were taking advantage of the Christmas vacation from school. Since the lounge was full, we were escorted to another airport lounge, which is part of the same company, although on the second floor. We relaxed, ate some light meals, had coffee, a few drinks, and check our e-mails. We had an 11 am flight, which would bring us to Hong Kong at around 1 pm. At around 10:35 am, we heard our boarding announcements and proceeded to the departure gate. We took Cathay Pacific Airways as we converted our Asiamiles points in exchange for flights. We were five passengers, namely me, my son, my wife, my sister in law, and my mother in law. When we landed in Hong Kong, we proceeded to the immigration counters, afterwards the luggage claim counter. Upon our exit, we saw a man carrying a placard with my name. So I approached him, and he told me that a limousine was arranged to bring us to our hotel. He was surprised that there were 5 people in our group, as he was notified that there were only 2 people. So instead of 1 car takings us to our hotel, we rode in two separate Mercedes Benzes. We arrived at our hotel in a little over 30 minutes from the airport. 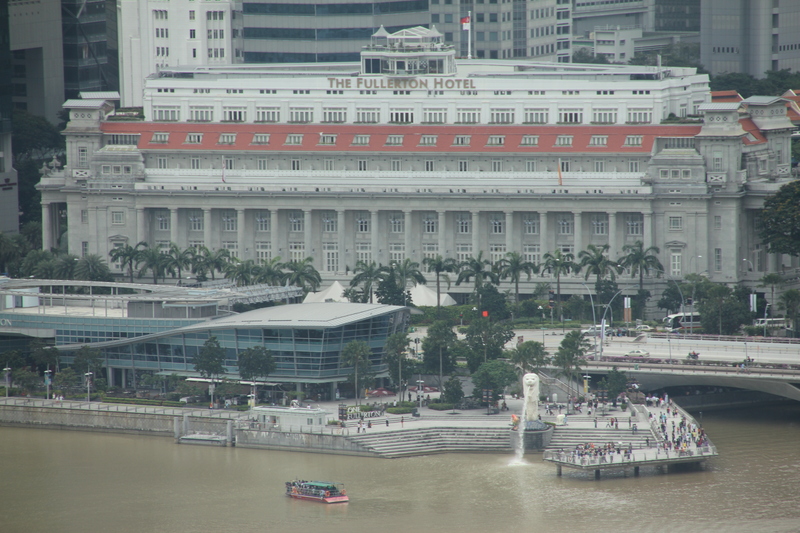 We were billeted at the Renaissance Harbour View Hong Kong Hotel, for 6 nights. We also perused my Marriott Rewards to redeem our hotel stay in exchange of my Marriott Rewards Points. Our room was rather spacious. My son’s first instinct was to turn on the TV and check if there were any channels featuring animation, which there was, which pleasantly surprised him. We rest for the duration of the afternoon. 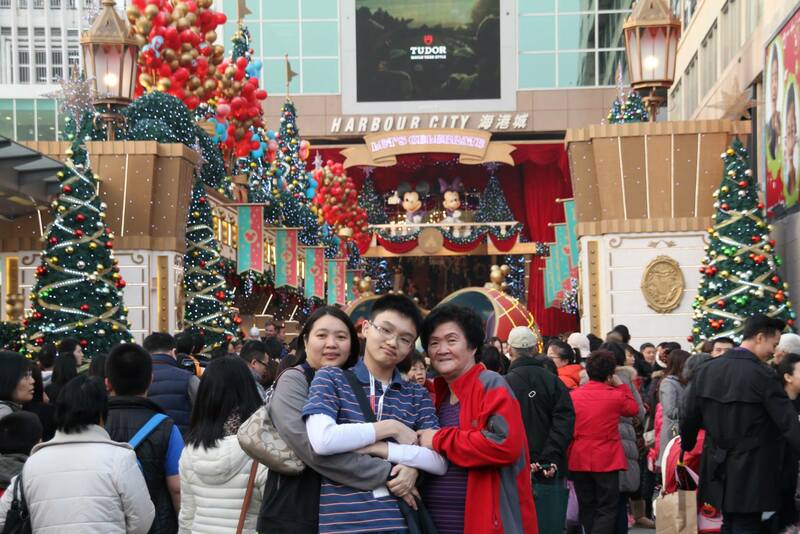 My son informed me that he wanted to go to Hong Kong Disneyland the very next day, to which I said yes. 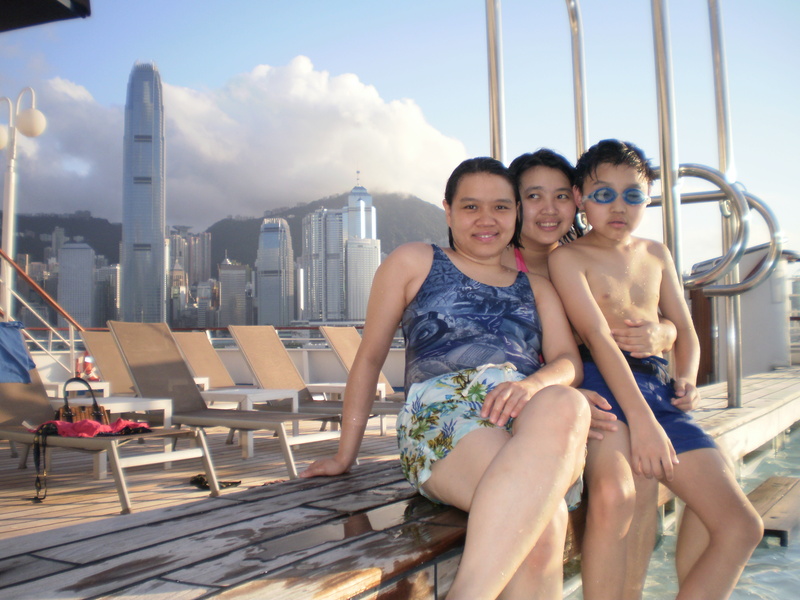 The very next day, me and my son proceeded to the Wanchai MTR Station, to go to Central MTR Station/Hong Kong Station. Upon reaching Central/Hong Kong Station, we proceeded to the interchange, in order for us to take the MTR from Central/Hong Kong Station to Sunny Bay MTR Station. Upon reaching Sunny Bay MTR Station, we disembarked and waited for the Hong Kong Disneyland Resort Train, which would ultimately bring us to Hong Kong Disneyland. Since it was the Christmas holidays, there were may people. We visited some of my son’s favorite attractions, such as Buzz Lightyear’s Astro Blaster, Philharmagic, Mystic Point, Enchanted Gardens, Toy Story Land, Grizzly Gulch, etc. The Mystic Point Manor was closed when we passed by in the morning, so we decided to proceed to Grizzly Gulch. We had a bite at the Grizzly Gulch Salon. We took some pictures at the Gold Nugget, etc. Afterwards we went pass Toy Story Land, which had long lines, so we opted to go to watch the Philharmagic show. We were treated to a feast in Beast Enchanted Castle, safari trip in Simba’s African Kingdom, flew in a magic carpet in Alladin’s Dessert Palace, and got wet and swam in Ariel’s Underwater Kingdom. Afterwards we proceeded to Buzz Lightyear’s Astro Blaster. We had tons of fun blasting Emperor Zurg and his nasty space minions. We came back to Mystic Manor, but the lines then was too long. It stated that we needed to wait in line for an hour. So my son decided to head back to forego the attraction. We proceeded back to our hotel. That night we decided to eat at our favorite restaurant, Delicious Kitchen, which was located in Food Street in Causeway Bay. When we arrived there were not too many customers yet, so we were able to get seats immediately. We ordered their specialty Double Pork Rib with Vegetable Rice, plus I ordered an additional deep fried pigs intestine. We had a sumptuous dinner. The next day me and my wife, ran some personal errands. We jumped from place to place the whole day. We were tired from all day of walking and commuting, that we decided to retire to our hotel early, and rest. 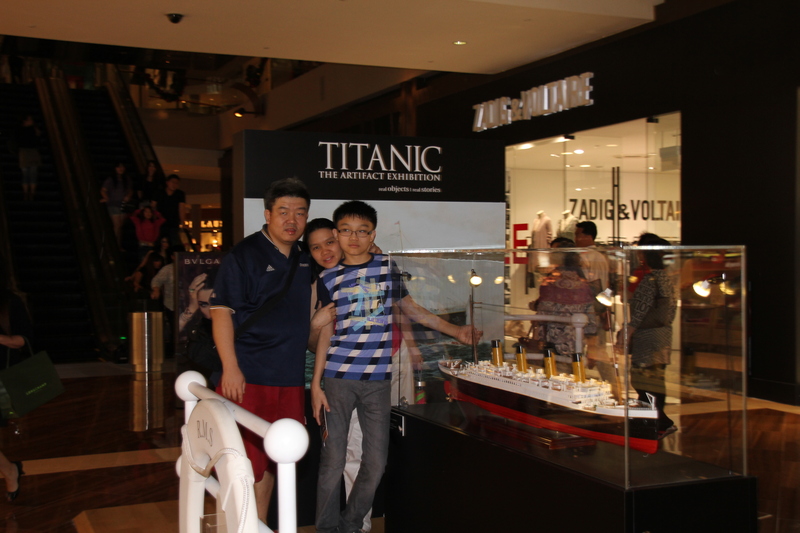 The next day, me and my son went to the Apple IFC Hong Kong Store, to have a cousins iPhone 4S checked and repaired. While in IFC we decided to watch the movie Frozen in 3D at the IFC Cinema. Afterwards we decided to have dinner in Crystal Jade Restaurant. We were stuffed, and decided to take home additional food for my wife, my sister in law, and my mother in law. My son wanted to visit Windsor House to check out what’s new in Toys R Us. 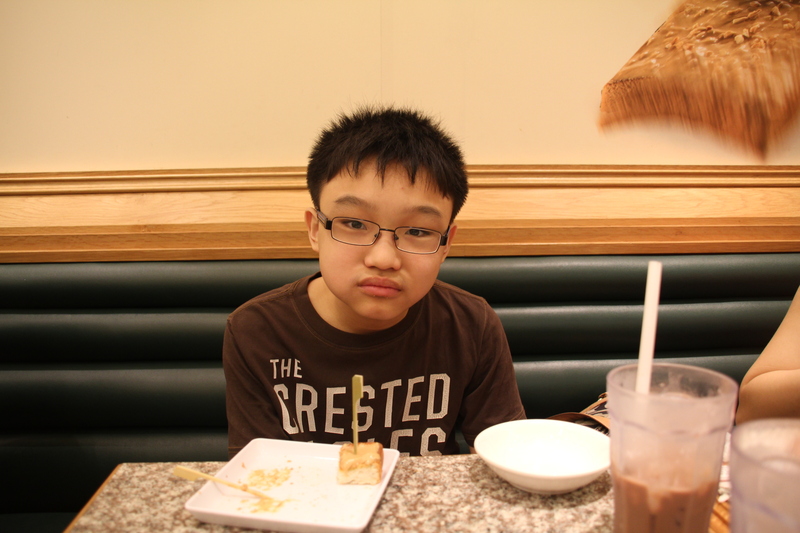 He saw something he liked, but we opted not to buy it as we were carrying a lot of things already. We just decided to buy Pork Coin and Pork Jerky from Bee Cheng Hiang. We also went to Worldwide Plaza to check on things. On the way there we passed by Central Plaza, and decided to take some pictures. 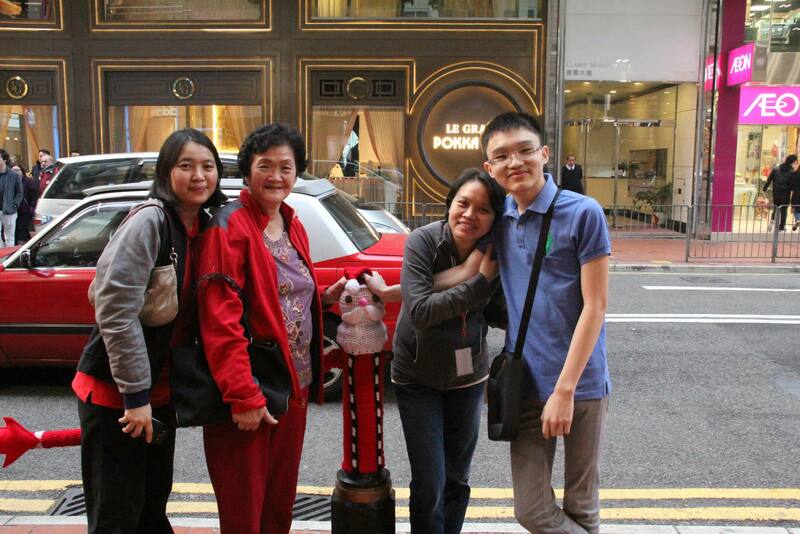 Second to the last night, we decided to go to Tsimshatsui, and do some shopping. We weren’t able to find anything we liked, but my son was able to get 2 Power Rangers Megazords. He was ecstatic with his haul. On the day of our flight, after checking out, we waited for our transportation to the airport. We were pleasantly surprised that our service was a Toyota Alphard, which is the luxury version of an MPV/Van. Our flight was at 5:55 pm, so we were supposed to arrive in Manila at approximately 8 pm of December 31, 2013. We also perused the benefits of our credit cards, which was complimentary lounge access at the Traveler’s Hong Kong Airport Lounge. We had some meals, drinks, coffee, read newspaper, browsed the net, etc. Eat Bulaga brings isang libo’t isang tuwa all the way to London! Perhaps no other show like Eat Bulaga could bring the same level of excitement and anticipation that was felt by the multitude of fans that came to its much-awaited presentation at the Excel London last November 17. Organized by GMA International, OSN and TAPE, Inc., the show was a fitting response to the incessant requests of Filipinos living in Europe to witness the Philippines’ longest-running, most successful and most influential noon time show live. Just as thousands of Filipinos trooped to the Eat Bulaga show in Singapore last year and in San Francisco earlier this year, almost 6,000 people in London were treated to an unforgettable entertainment experience that the show is known for. The Dabarkads composed of Joey de Leon, Jimmy Santos, Anjo Yllana, Allan K, Keempee de Leon, Ruby Rodriguez, Julia Clarete, Pauleen Luna, Ryan Agoncillo, Paolo Ballesteros, Philip Lazaro, Jose Manalo and Wally Bayola came prepared with their funny jokes and thrilling numbers that kept the audience grinning from eat to ear all throughout the show. Judy Ann Santos also appeared as a special guest to the delight of the audience. The Eat Bulaga show opened with a James Bond-inspired number by long-time EB host Jimmy Santos together with the EB Babes, while husband and wife Ryan Agoncilio and Judy Ann Santos later sang a duet. The event was also highlighted by Jose & Wally’s funny take on “Anak”; Allan K’s Miss Universe monologue; the widely popular Pinoy Henyo and Cha-charap dance contest, which was also participated by some members of the audience. Philip Lazaro hosted the pre-event show, where winners were drawn to win special prizes from GMA International and OSN. It was also during this part where the Vice Consul in London, Myla Macahilic and GMA International Vice President and Head of Operations Joseph Francia welcomed the audience and thanked them for the overwhelming turnout. As it continues to occupy that permanent place in the hearts of Kapuso viewers all over, Eat Bulaga will also continue to bring isang libo’t isang tuwa to many other cities and countries. Eat Bulaga airs exclusively on GMA Pinoy TV, the flagship international channel of GMA Network. Call your preferred pay TV operator now to subscribe. For more details about the show and its hosts, visit wwww.gmanetwork.com/international. 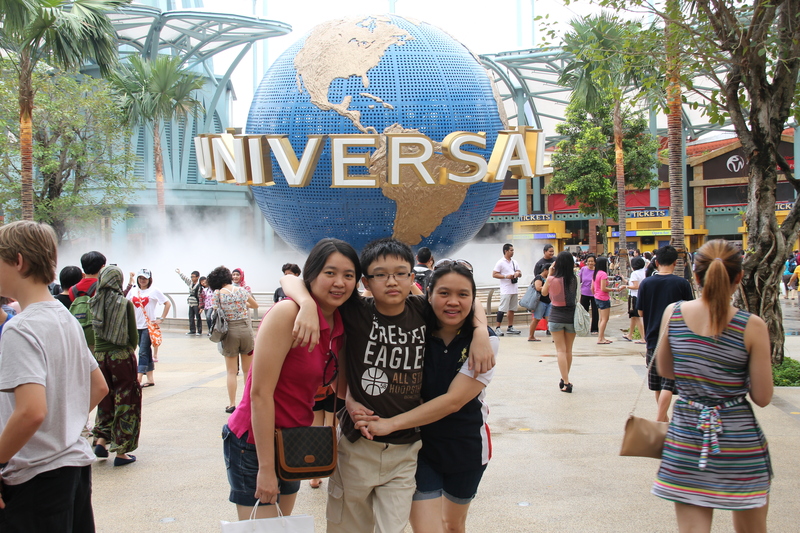 Pre-Christmas Family Vacation to Singapore! This post has been my first in a long time. I do hope that everyone who reads it, would love it. I just want to share my joy and experience for traveling. 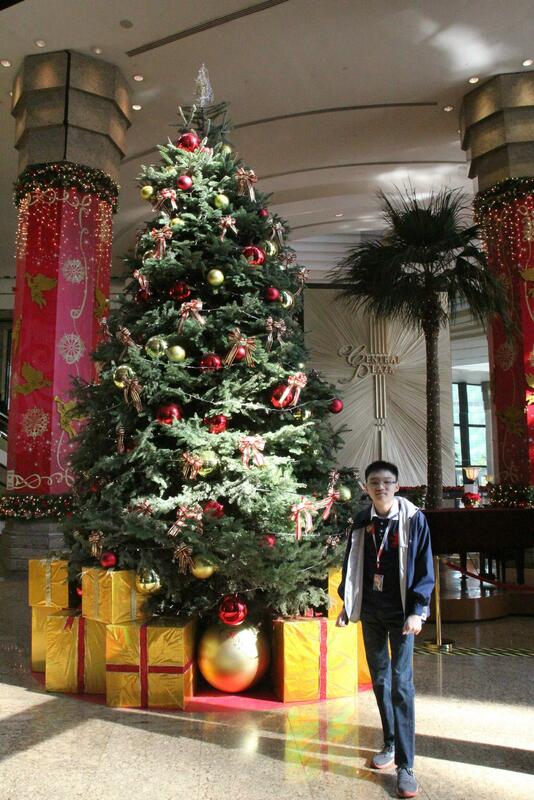 Me, and my family went on a Pre-Christmas Family Vacation to Singapore. We left Chep Lak Kok International Airport in Hong Kong, early in the morning of December 19, 2011, taking Cathay Pacific Airways, and arrived Changi International Airport before noon. again, but this time going to The Marina station. 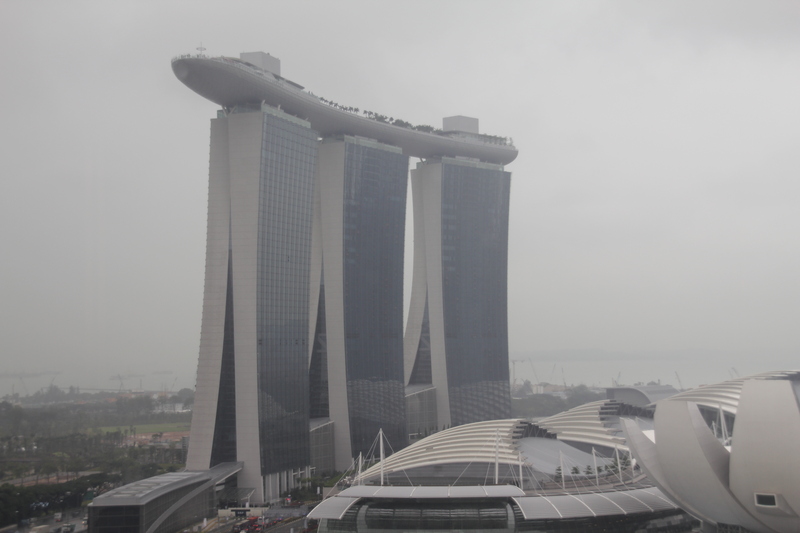 We were able to reach The Marina Bay Sands, where we had our dinner, and we even visited the Art Science Museum, but unfortunately it was already closed. We decided to walk to our hotel, which was quite near. 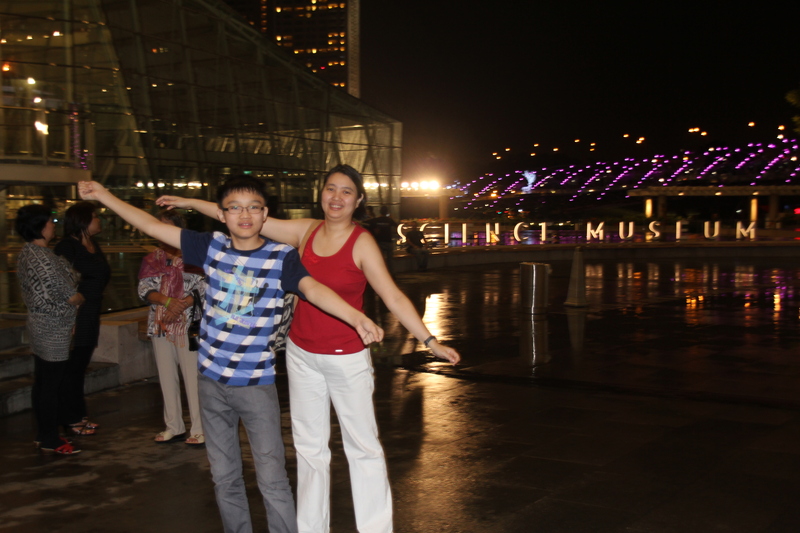 We walked by the Helix Bridge. the long queues for those rides, and attractions. There were lots of people, from all parts of the world. 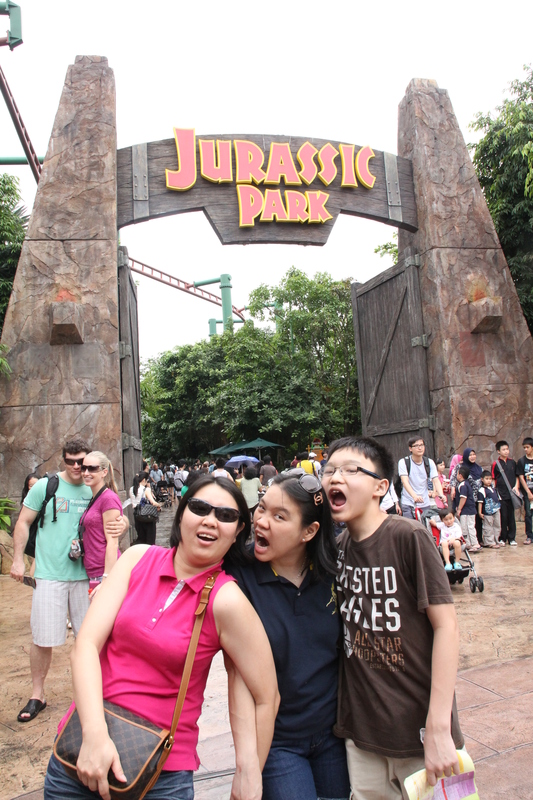 We had a blast spending the whole day at Universal Studios Singapore. 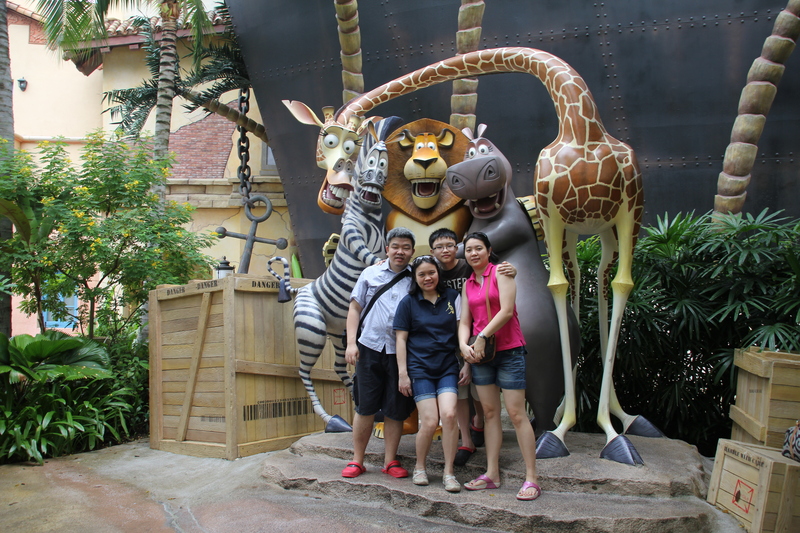 After our theme park experience, we met up with an old friend, who was based in Singapore, lets call her Mayette. 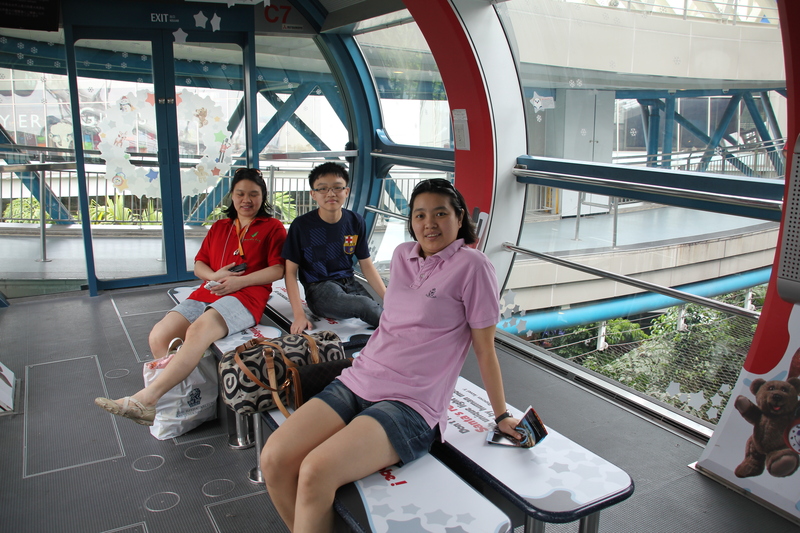 She told us to meet her at Sentosa Station @VivoCity of the Monorail, which is a free service, by the way. There we had dinner at an Italian Restaurant. We had Pizza, Rissotto, Salad, some stories, and juicy comments. Which is of course part of every dinner conversation among friends. After dinner, we decided it was still early, so we decided to do some shopping. 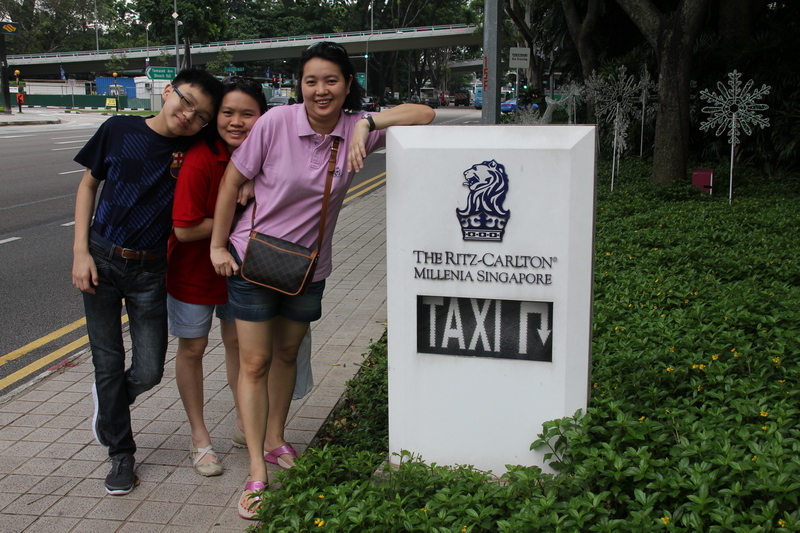 It was a good thing that our friend was there, and that she brought her MPV with her, otherwise we would have to carry all of our groceries to the hotel. accommodating us. After the initial hassle, we passed the Immigration Check, we headed directly to the GST Rebate Centre to ask for payment of our GST Refund. After that we strolled around the airport as there was still time. 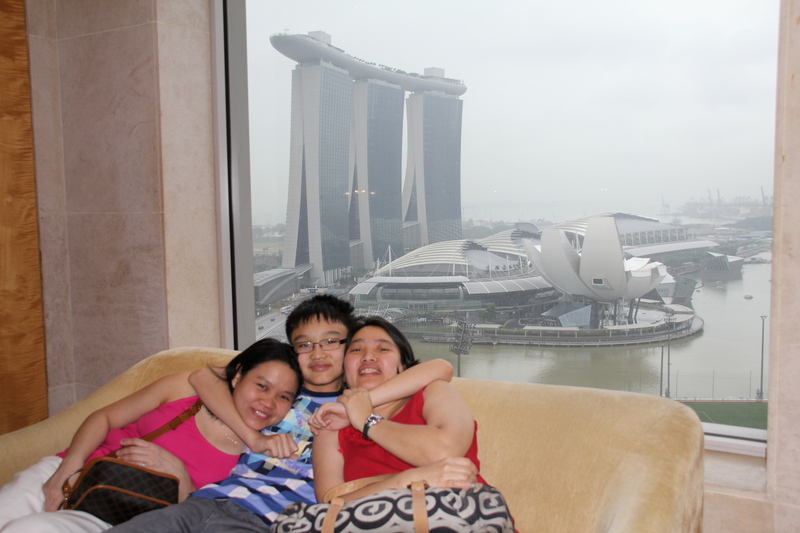 So far we have enjoyed our Pre-Christmas Family Vacation in Singapore. It was a fun filled three (3) days, even though it was raining on and off. Qatar Airways Subscribe and Win Promotion! 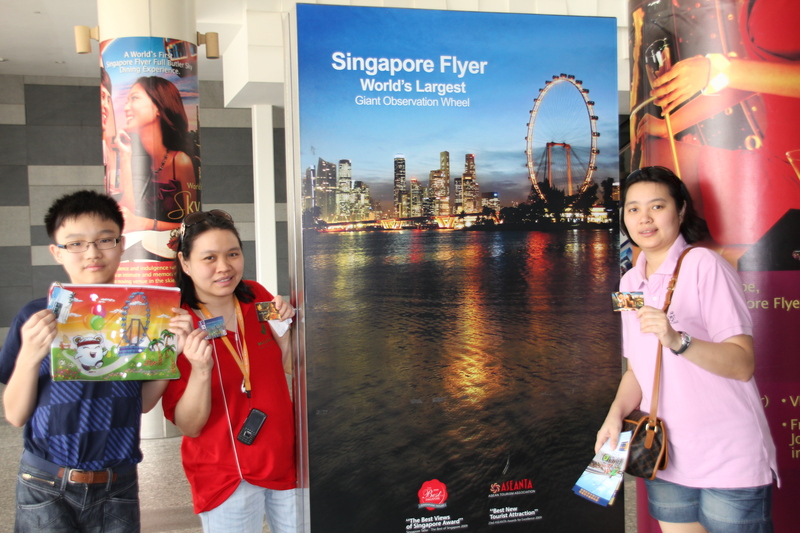 Do you want to win a pair out of 100 pairs of economy class tickets? If you answer is yes, then this is for you. It’s so easy to join, just subscribe and you will have chance/s to win a pair out of 100 pairs of economy class tickets, anywhere Qatar Airways flies! 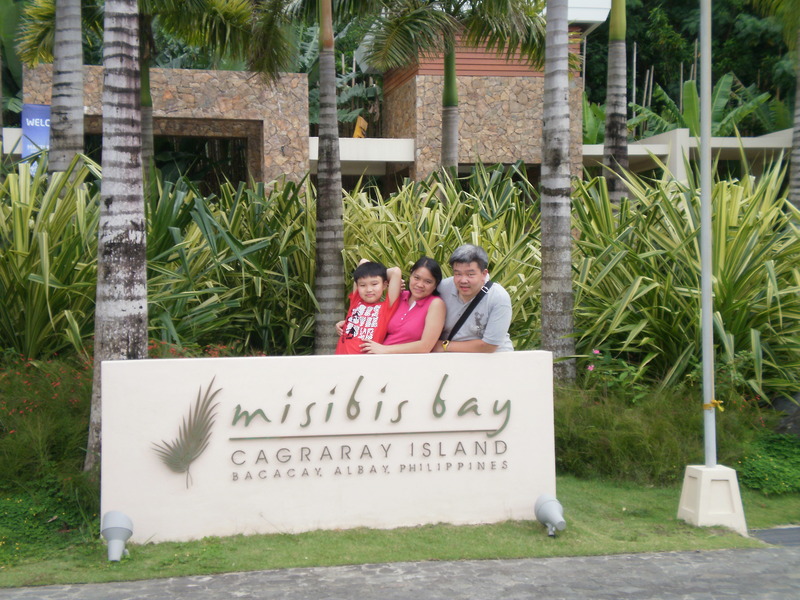 I have visited Misibis before, and I would really love to visit it again. The experience and pleasure of visiting it is beyond words! All aptly put, it is perfect, it is divine! From the time you arrive, to the time you leave, you are pampered all the way! From the food, to the beach, to the pool, to the facilities, to the staff, everything is impeccable! It seems like leaving Misibis would make you cry. I made a poem to show how I love going back to Misibis! Why do I love Misibis? Let me count the ways! I love Misibis, as the sun perfectly rises and sets here! I love Misibis, as the food here is divine! I love Misibis, as the beach is so fine! I love Misibis, as it is quiet and serene! I love Misibis, as there in no place like this! Me and my family recently went on a cruise vacation. Although I have been on a number of cruises in the past, this is my first cruise this year. 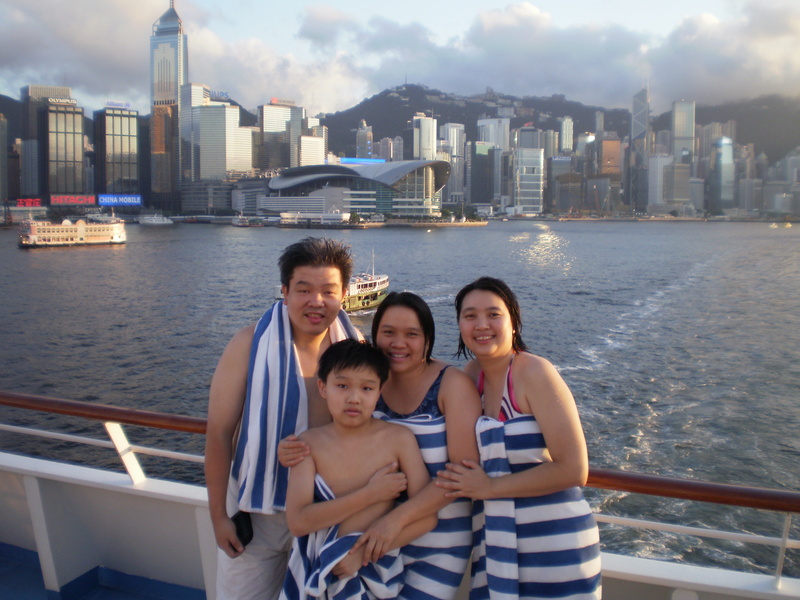 I have cruise in Hong Kong before, this is my second one for Hong Kong, and in Singapore and Malaysia before. photograph with the stunning Russian performers. Upon boarding, we passed an inspection team, and my son was asked to pose with their mascot, which was an elephant. The cruise ship was Super Star Aquarius, it was big, it was 12 levels tall. gorgeous, and the men were equally handsome. After the show, we decided to stroll around, and my son decided that he wanted to try out the video arcade. After the arcade, we decided to call it a night. releasing. We proceeded to Level 7, then proceeded to settle our bills, and collect our travel documents. 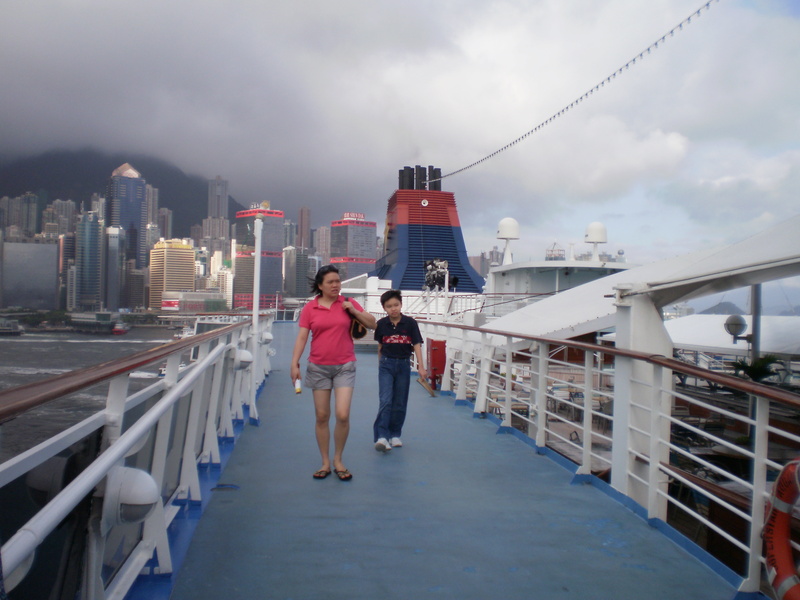 The ship arrived Hong Kong at 8:00 am, but we were still welcome to stay on the cruise ship. We disembarked at around 9:00 am. 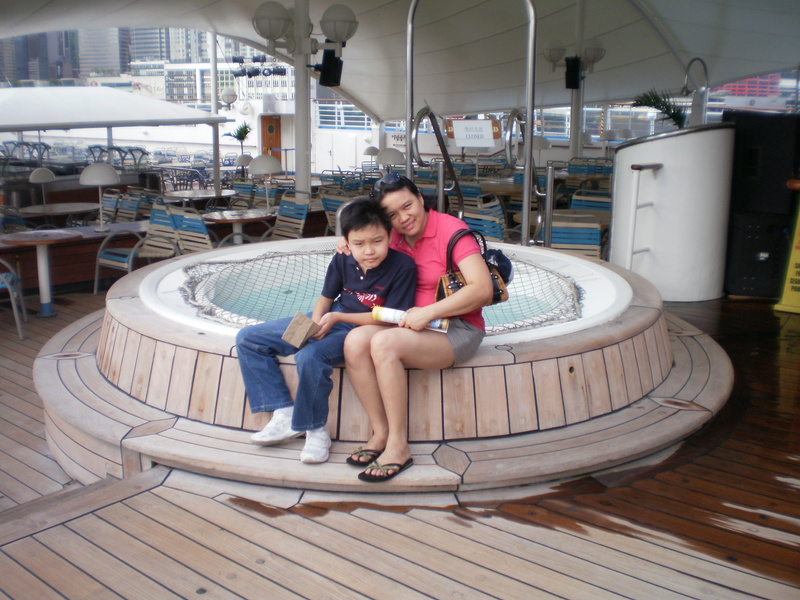 We enjoyed our short, but wonderful cruise ship vacation. We plan to take a longer one, if we have the time, and the finances. If anyone wants to learn more about Star Cruises and the packages available, you can call +852 2317 7711 (Enquiry and Reservations Hotline), or +852 2378 2020 (Group Bookings Hotline), or go to http://www.starcruises.com/newweb/main.aspx.